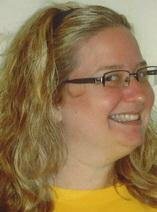 WATERLOO — Deborah D. “Debbie” Acklin, 38, of Waterloo, formerly of Cedar Falls, died at home Friday, Sept. 6, 2013. She was born Aug. 4, 1975, in Cedar Falls, daughter of Dennis and Janet Mathes Acklin. She graduated from Cedar Falls High School in 1993 and attended Hawkeye Community College. She was employed in dispatch with Black Hawk Waste and also worked at Acklin Machine and Tool. Survived by her significant other, Terry Hanson; a daughter, Samantha Hanson, and a son, Max Hanson, both at home; her parents of Cedar Falls; a sister, Vicki (Dave) Davis of Duluth, Minn.; and paternal grandfather, Loyd “Bud” Acklin. Preceded in death by her maternal grandparents and paternal grandmother. Services: 11 a.m. Wednesday at Richardson Funeral Service, Cedar Falls. Visitation from 5 to 8 p.m. Tuesday and for an hour before services Wednesday at the funeral home.